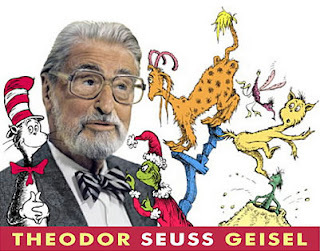 Dr. Seuss had an honorary Ph.D. He also had the poetic talent to simplify life and sentences, as in "The Cat in the Hat" and "Fox in Socks". His books continue to create bedtime magic and have helped countless children learn how to read. Try reading it to your child without smiling! Some of his tongue twisters are hilarious. I can't claim to be Dr. Seuss but I often say that had I chosen to apply my Ph.D. knowledge to writing children's books, rather than to writing a blog, perhaps I would have received more acclaim from my academic counterparts. What do blog writing and children's stories have in common? They are simplified writings. Indeed, intellectuals may consider blog writing to be simplistic rather than simplified. They may find it futile and superficial. In university, I was trained to write original works, based on research. My articles were carefully devoid of any generalizations, and most statements were footnoted with references to back them. How can I throw that to the wind and write short snapshot essays about bridges, protein diets, golf, Pilates, root canals and time management? I use a casual, personal tone in my writings that academics shun. reports short. They probably enjoy vignette reading and I keep them in mind. Yet, in the back of my mind, my academic peers, who only occasionally add a comment, are also my readers now and then. Have I not dissected Jonathan Franzen's "Freedom" or Jose Saramago's "Blindness" to the point of failure? I believe that many of my readers abandon those postings because they haven't read the books and as a result grow bored from them. I take the risk however, for my own integrity, because I write about what inspires me and enjoy expressing my opinions. To lighten things up, I also did happen to dwell on Andre Agassi's "Open". I find consolation from the academic snobbery by believing that I am part of contemporary literature. The academics, in their ivory towers, bring about change from the top down. I try to reach out to the grass roots, so if I can bring my thoughts to a more heterogeneous group of people, I choose to simplify my writing and contents. I am a consumer of knowledge. I read, I learn, I teach, I observe, I exercise, I appreciate. These are the experiences that I twist and link and finally share on the net. Pop blog is like Pop Art:you either love it or you hate it!It is ornamental,colourful,but might not suit everyone's taste.Did I tell you that our blogger discovered the first reality show in France,and followed "Lost" and loved Vampires and UFOs? 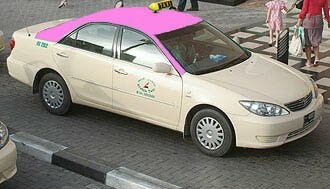 The sudden uninterupted flow of her ideas (over 200) in less than a year is amazing,especially that her first profession is driving a Pink Taxi! !That is why she could not get into professional journalism or professional teaching!